It’s been a while and though I have more content that I should be writing, what I have for now are things that will make you smile today. 1. Dogs in Boots – poor dogs, but nonetheless hilarious to watch…. 2. 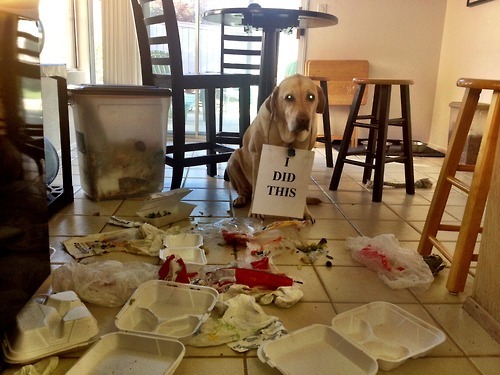 Dog Shaming – I love the website. Though it’s funnier when it’s someone else’s pet that does these things. 3. 7 Ways to get through your day – A little bit of inspiration, a little bit of humor = the perfect way to start any day. This entry was posted in Because it's funny and tagged Buzzfeed, Dog Shaming, Dogs in Boots, humor. Bookmark the permalink.